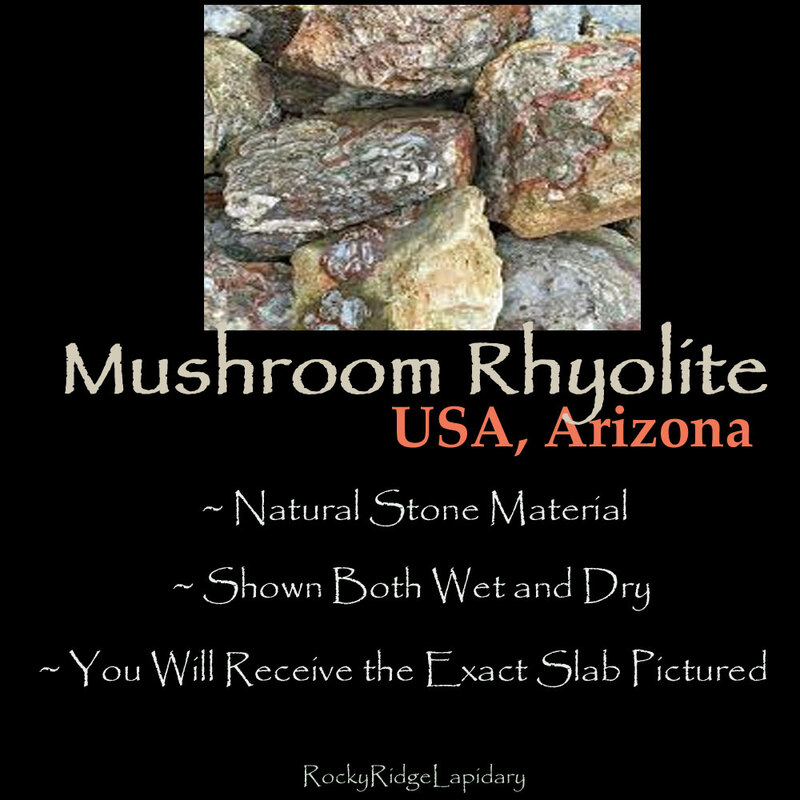 Mushroom Rhyolite Slab | Mushroom Jasper Slab for Lapidary or Display - The rock that is known as Mushroom Rhyolite or Mushroom Jasper is found in several areas northwest of Phoenix, Arizona. 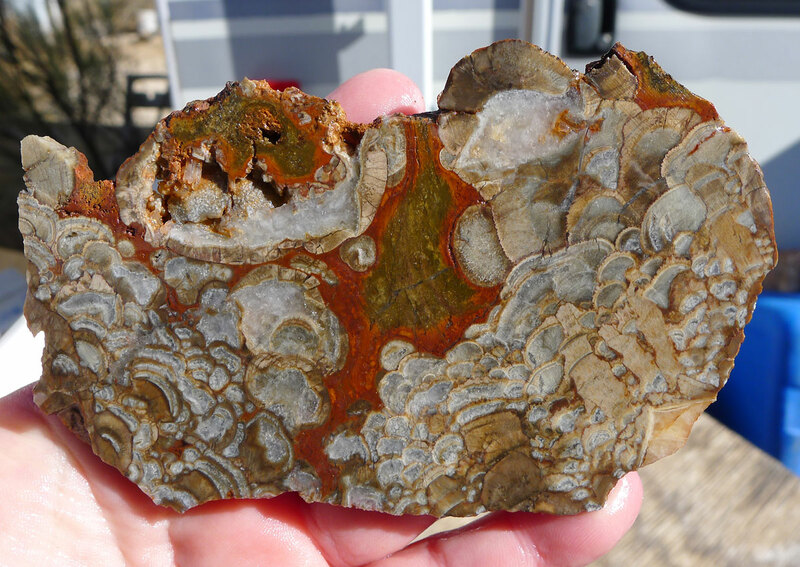 The rock gets its name from the repeating gray pattern that sometimes looks like a mass of growing mushrooms. The formation is an atypical thunder-egg formation where most of the thunder-eggs did not completely form - it is a naturally vuggy material. You will receive the EXACT slab pictured. Weight: 3.65 oz. - 103.48 gr. 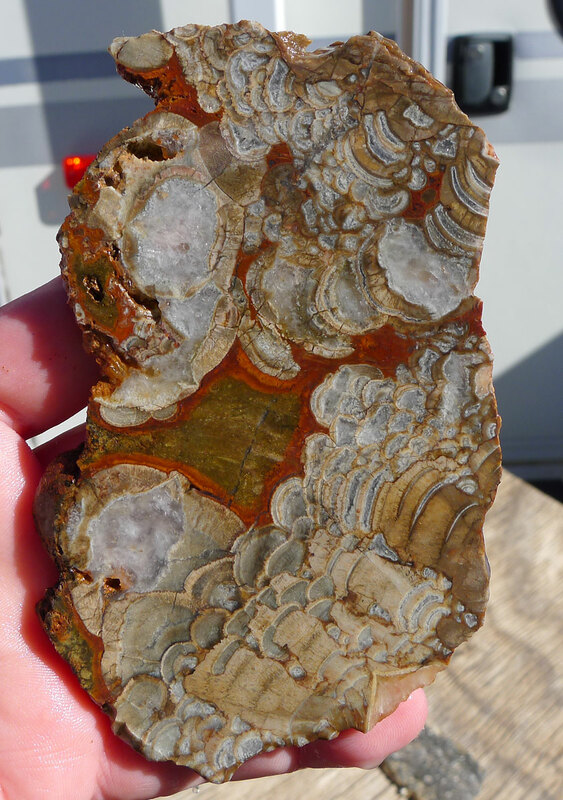 - 517.38 ct.
Metaphysically, Rhyolite is considered a stone of balance, regeneration and mental acuity -- helps one to know what is needed and what is obsolete in ones life, and then helps one to attract or remove those things as needed. Chakra : Heart. 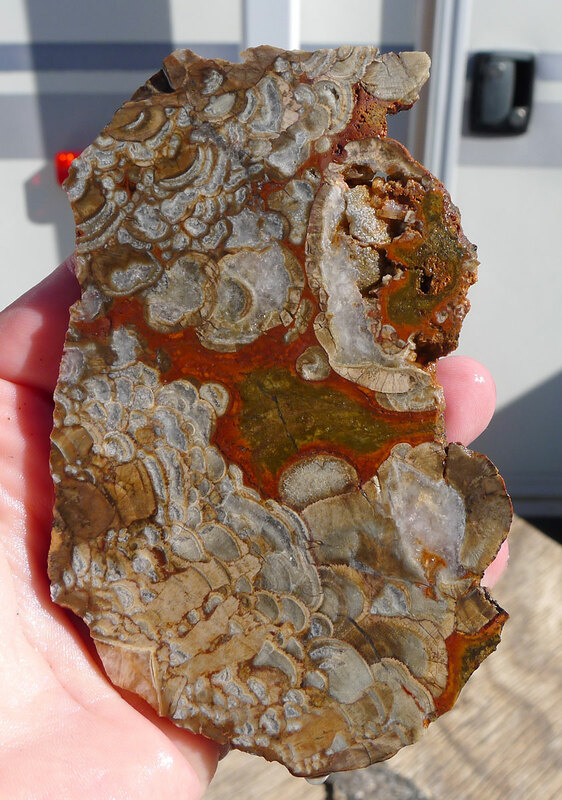 Please note: This is a lapidary rough slab. Unless otherwise noted in the listing, it is not polished. - Slabs are Cut in-house by us here in the USA - There are some light saw marks that will not effect your cabochons. - Edges are rough and natural - Pictures taken Outdoors - Shown both Wet and Dry. - Measurements are given in total at outer/widest points. - I try to show the most accurate photo possible, but there can be color variations due to monitor settings. - I cannot be responsible for fractures, vugs or blemishes from mother nature.